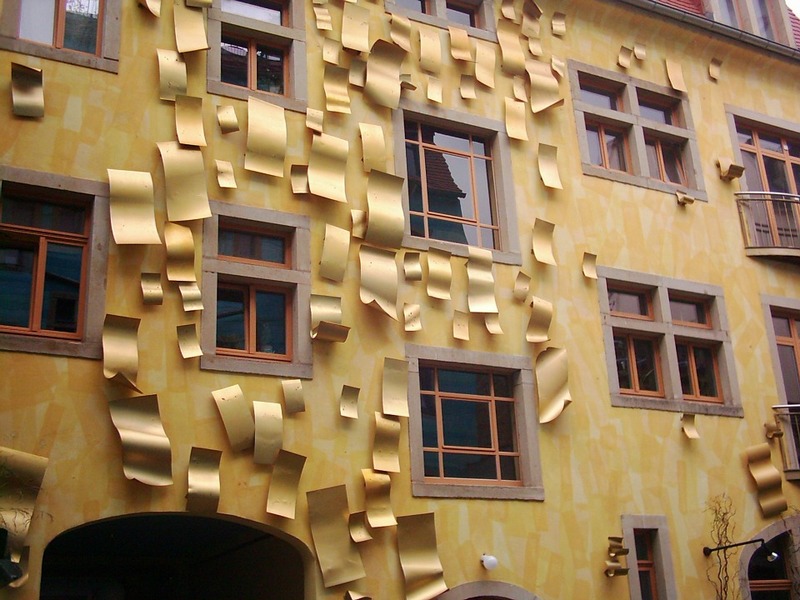 Kunsthofpassage is a series of alleyways in the student district of Dresden. 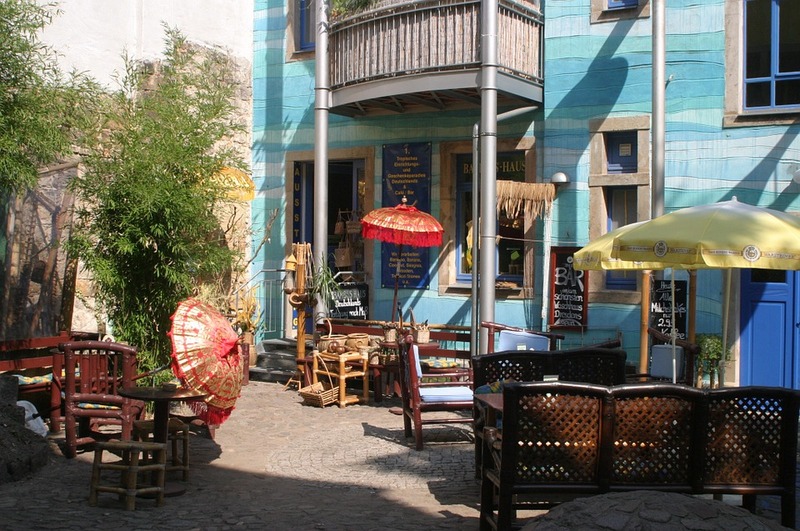 The area contains quirky bookshops and cafés – and unusually decorated buildings. One of the most famous is the one you see above. 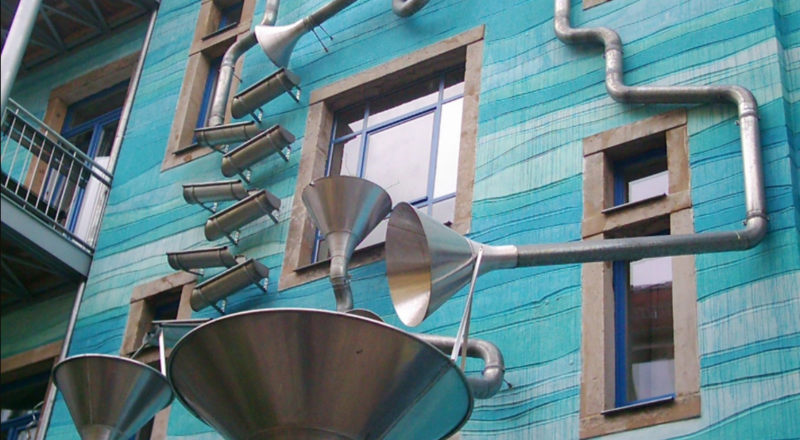 A series of drainpipes are displayed not only in an artful fashion, they also create music when it rains.